The Terms’ purpose is to describe the rights and obligations of the User of the Internet Website currently at the address: http://www.tf1international.com/. The Website is edited by TF1 International, a “SAS” company registered under R.C.S Nanterre 515 339 869, with registered head office at 1 Quai du Point du Jour, 92100 Boulogne-Billancourt – FRANCE. TF1 International is a subsidiary of the TF1 Group dedicated to the acquisition and distribution of audio-visual rights in TF1 feature films and audio-visual programmes (hereinafter “the Programmes”) in France and abroad. TF1 International manages its library of content coming from TF1 International’s audio-visual heritage, which comprises among others promotional and marketing documents, as well as materials’ and/or documents’ orders, throughout the Website. TF1 International proposes to Users of the Website, companies and professionals of the audio-visual industry, to access, after identification, certain services and contents offered by TF1 International (the “Services”), accessible on the Website, and if applicable, from any and all terminals (hereinafter “the Website”, this term including the Services). The Website, with a limited and secure access, has the purpose of accompanying and offering Services to professionals (i) who entered into a contract with TF1 International and/or (ii) for prospective purpose, to professionals who might acquire distribution rights on the Programmes. Some Services, designated by the term “Servicing”, imply, firstly the prior conclusion of an agreement authorising the exploitation of a Programme between TF1 International and the company for which the User is identified, and secondly that said agreement is fully executed by the User (hereinafter the “Servicing”). This agreement, whatever its name may be, is designated in the present Terms by the term “License Agreement”. The Website also enables the User to access a streaming service of the Programmes (hereinafter the “Streaming”). -	To order materials and/or documents for the exploitation of the Programme. -	Programmes that TF1 International has selected and decided to put at their disposal. TF1 International can, at its own discretion, add or delete Programmes from the User’s playlist. The User cannot suppress any Programme added by TF1 International. -	“Pending”: the License Agreement has not been signed yet or the minimum guarantee has not been paid. In that case, the User cannot order materials and/or download documents. The present Terms’ purpose is to organize the making available and/or granting access to these Services for the User, and the use by the User of the Services. TF1 International has the right to modify the address of the Website and/or to give access to the Services via applications, without these changes having any consequence on the present Terms, which will still be applicable between the parties. Access and use of all or part of the Services proposed on the Website imply the full acceptance of the present Terms. The User confirms he/she has read the entire Terms before any use of the Services. It is made clear that in case of a conflict between the present Terms and the License Agreement, the terms of the License Agreement shall prevail. The presentation of the following Services is indicative and does not imply the obligation for TF1 International to maintain said Services, TF1 International being entitled to modify them at any and all time, at its sole discretion. The User warrants that he/she shall respect the present Terms. Any use of the Services contrary to the Terms is prohibited and can be punished according to article 11 of the Terms. TF1 International can propose additional specific Terms relating to certain specific services, which must be accepted by the User for him/her to have access to said services. To access the Services, the User must have an Internet connection. The cost of said Internet connection is borne by the User only. To access the Services, the User must also have the equipment and software necessary to the connection to the Services. TF1 International does not warrant that all Services will be accessible on all terminals, such as notebook, videogame consoles, smartphones, tablets or other device. The use of and the access to the Services are subject to the registration of a personal account by the User (hereinafter the “Account” or “User Account”), being said that the creation of a User Account does not necessarily grant access to all the Services. Access to the Services is reserved to persons above 18 year old. TF1 International is entitled to ask for any written justification establishing the age of the User. Before registering, the User can check whether the company he/she works for is already registered on the Website, searching through the company list by entering his/her company name in the search box. -	If the search is successful, the User then clicks on the “Create my profile” button, after he/she selected the company he/she works for. To create his/her Account, the User has to communicate to TF1 International personal data that will help identify the User and facilitate the access to the Website and the Services, as well as the use of the Services. The User has to communicate the required information, and in particular: his/her surname, first name, email address, telephone number, position in the company (job title and job description), and indicate whether he/she wishes to receive the TF1 International newsletter. -	If the search is not successful and the User does not find his/her company name in the Website’s search engine, the User then clicks on the “Register my company” button. The User communicates information necessary to the creation, by TF1 International, of a notice associated to the company the User works for: name of the company, invoice address, delivery address, company’s activity sector. The User also has to communicate his/her surname, first name, email address, telephone number, position in the company, and indicate whether he/she wishes to receive the TF1 International newsletter in order to create his/her User Account. The User then receives, if the User’s demand to create an Account is accepted by TF1 International, his/her access code in an email. The User also receives a login and a password. TF1 International reserves the right not to accept all requests to create Accounts and can chose, at its own discretion, not to communicate a login and password to the Website visitor who filled out a registration form. -	Modify/add/delete contacts from his/hers company. When the User fills out the registration form to access the Services, the User undertakes to fill it adequately and in particular to communicate accurate, up to date and complete information. The User undertakes to update his/her information every time his/her situation changes. The User undertakes to rectify the information directly on the Website from his/her Account. If TF1 International finds out that all or part of the information communicated during the registration is erroneous or incomplete, TF1 International reserves the right to modify the information and/or to suspend and/or to close the User Account and/or to block any new access and/or use of the Services, without prejudice to any other remedy or action. The registration implies the express and unreserved acceptance by the User of the present Terms, materialised by the mandatory “ticking” of the acceptance box of the Terms stating “I have read and I fully accept the rules set forth in the present Terms”. The User undertakes to keep a copy on a durable medium of the Terms provided by TF1 International on such a medium (digital recordable version). The password is personal and confidential. The User is solely responsible for his/her password. The User undertakes not to divulgate his/her password to any third party and to take all precautions to avoid the risk of such third parties having access to it. -	To be easily reachable by TF1 International, for whatever reason, through his/her email address. Lending, sharing, exchanging, donating, buying, transferring and selling Accounts is prohibited. All lending, sharing, exchange, donation, buying, transfer and sell of Accounts shall not be invoked against TF1 International and shall be punished according to article 11 of the present Terms. The User is solely responsible for his/her Account. Any connection or transmission of any order or data made using his/her password will be considered having been made by the User, and under the User’s exclusive responsibility. In order to preserve the personal and confidential nature of the User’s access, it is recommended to the User to logout of his/her Account at the end of each session by clicking on the logout icon, or any similar mention that might be proposed on the Website. In case of any fraudulent use of his/her Account and/or password, or in case of a loss or theft of his/her password, the User undertakes to inform immediately TF1 International. In cases where the User reasonably suspects a security breach, comprising the loss, theft or unauthorized use of his/her login and password or any other problem related to his/her Account’s security, the User undertakes to immediately inform TF1 International. TF1 International will then reset the User’s password. TF1 International will also have the possibility to block access to the specific Account. In any case, TF1 International shall not be held liable for the actions of a regularly registered and connected User. In particular, TF1 International shall not be held liable if several contacts are suppressed or added by a User. If the User forgets his/her password, the User shall mention it when he/she connects to his/her Account by clicking on the link “Forgot your password”, when this functionality is available. In this case, the User must enter his/her login and he/she will receive an email with his/her new password at the email address given during registration. The conditions in which the User can place an order, and the subject of this order are provided for in the License Agreement. All materials and/or documents that can be ordered on the Website by the User (and particularly, without this list being a limitation: Digital Cinema Package, dialogue list of the original version of the Programme, certificate of origin of the Programme, etc.) will be at the cost of the User and shall be paid to TF1 International before accessing the materials and/or documents. It is made clear that any derogation to this rule shall not be invoked against TF1 International. -	Step 3: The User receives a proforma invoice by email in order to proceed to payment. For any and all order made on the Website, the User receives a confirmation email in the form of a proforma. The User undertakes to verify within twenty-four (24) work hours whether the information set forth in this email are correct. The invoice is then sent by postal mail to the address of the company given by the User when the User created his/her Account. If the User thinks the invoice is erroneous and/or if the User wishes to make reclamation, he/she shall write to TF1 International within a period of seven (7) days following the date the invoice was edited. TF1 International reserves the right to refuse to honour an order coming from a User who has not fully paid a prior order and/or with whom a payment dispute is ongoing and/or for any failure to perform the License Agreement. Under no circumstances the User will be entitled to any indemnity paid by TF1 International due to the interruption or the suspension or the limitation of the Services and more generally, for any and all breach of the License Agreement. TF1 International keeps a record of the transaction files in order to be able to answer any later request from its Users. All data and information stored on or accessible through the Website can in no case be taken-up and used for other purposes than the private consultation by the User directly connected on the Website or for the purposes mentioned in the License Agreement between the parties. TF1 International reserves the possibility to take all appropriate actions against any and all reuse made in violation of Intellectual Property rights and/or the law and/or the Terms. 6.1. The User benefits from a license granting him/her the access and use to the Services and within the perimeter of the rights, subject-matter of the authorisation granted for those Services and/or materials and/or documents, pursuant to the present Terms and/or License Agreement. The User refrains from all use of the Services going beyond the rights, subject-matter of the authorisation granted. Under no circumstances can the User consider himself/herself the owner of the digital files of the documents he/she can access through the Services. The physical control of the files is only granted to the User in order to allow him/her to enjoy the rights granted that are the subject-matter of the authorisation granted and those files are only the accessory of the rights subject-matter of the authorisation granted. This authorisation cannot be transferred, considering the specific undertakings undertaken by the User pursuant to the present Terms. Any reproduction or representation, in all or in part, for other purposes than the authorised use is prohibited. The violation of this prohibition is an infringement of copyright and the infringer can be held liable under civil and criminal law. 6.2. The names, images, logos, or any other distinctive signs presented on the Website identifying TF1 International and/or its partners or third parties or their products and services are contents protected by intellectual property rights, and in particular trademarks, rights in designs and/or copyrights and neighbouring rights in France or abroad. The Services and their contents, the general structure of the Website, the software and data bases used and all other contents presented on the Website are protected under copyright, neighbouring rights and/or the sui generis right of the producer of data bases, and more generally, by common civil liability law as well as applicable international treaties. TF1 International and/or its partners are the sole right holders of all intellectual property rights abovementioned in and to all the contents and in particular in and to the Programmes presented on the Website. The User warrants that he/she will respect these rights. -	Resell, rent, sub-rent or transfer in any way the Services to a third party. 6.3. Any use by the User of the information, data and elements of the Website, in any way whatsoever, not consistent with the License Agreement is strictly prohibited. In no case, the possibility to access the information on the Website and certain data can be construed as an authorisation for the User to extract, substantially or not, and/or use outside the consultation of the Website, any data or any other element of the Website. It is recalled that such extractions and/or uses are strictly prohibited. Any and all reproduction and/or display, in all or in part, on any medium, of the distinctive signs or contents on the Websites, including the information and/or data, is authorised within the scope of the stipulations set forth in the License Agreement. Any other use is prohibited and is an infringement of intellectual property rights and can thus lead to civil and criminal liability for its author. 6.4. The digital files of the Programmes and/or materials and/or documents on the Website can be protected by technical protection and information measures or “Digital Rights Management systems”, i.e. protection systems enabling to control the use of the files and in particular their copy. The goal of the protection systems is to offer the User a great flexibility in the use of the contents made available while protecting intellectual property rights. The User restrains from taking any measure aiming at circumventing or affecting the technical protection and information measures. The User agrees and expressly accepts that technical protection and information measures may limit or revoke his/her access to one or several Programmes, as well as the use that can be made of said Programmes. The User also agrees to the automatic update of the technical protection and information measures and to the attached consequences. These technical protection and information measures are governed by the Intellectual Property Code. Any attempt to circumvent those measures can be punished under the provisions of this same Code. 6.5. TF1 International cannot be held liable for the violation of Intellectual Property rights that might happen within Programmes edited by third parties and possibly accessible through the Website. 6.6. The User, undertakes not to suppress or modify the credits, logos, copyright or trademark notices on the materials and/or documents that he/she orders and that are delivered to him/her by TF1 International. 7.1. Pursuant to the French data protection law, law n°78-17 of January 6, 1978 “relative à l’informatique, aux fichiers et aux libertés”, TF1 International informs the User that it preserves the confidentiality, integrity and security of all data that the User may communicate to TF1 International through the Website or the Services. The creation of a User Account is subject to the processing of personal data, and TF1 International is the controller of the processing, which the User accepts. This processing of the personal data of the User is declared to the French data protection authority, the “Commission Nationale de l'Informatique et des Libertés” (CNIL), under the receipt number: 1716275. The personal data collected are provided by persons who wish to access or to use the Services and to become a User. The data can be used for the purpose of managing the operations carried out on the Website, and in particular, the access to and the use of the Services. TF1 International keeps the personal data of the User during the time necessary to the purposes described in the present article and for the purpose of storing the necessary elements in case TF1 International’s contractual and/or tort liability is engaged. Beyond that period of time, only statistic anonymous data will be stored and will not be subject to any exploitation, of any kind. Provided he/she can prove his/her identity, the User has a right to access, modify, correct and delete the data related to him/her, by writing to TF1 International to the following email address: info@tf1international.com, or the following postal address: TF1 INTERNATIONAL, 1 quai du Point du Jour, 92100 Boulogne-Billancourt - FRANCE. The User can at any time delete the record of the cookies, or erase the cookies already stored on his/her computer, by setting the privacy protection options of his/her Internet browser (for example; tools > erase my traces > Cookies, on Mozilla Firefox and Tools > erase the browsing history > erase the Cookies on Microsft Internet Explorer). -	Linked to the Services (log and history of the data exchanges, “log” and history of the connections to the Website and to the Streaming service…). TF1 International will be entitled to use said information for all purposes, in particular to improve the use of the Services, propose custom selections of Programmes to the User, send the User custom emails or control the User abides by the Terms. All information stored on the servers may be used by TF1 International to proceed to any kind of control for the purposes of prevention and punishment. TF1 International may also communicate the User’s data to commercial partners, subject to the express authorisation of the User. 7.3. As a general rule, TF1 International undertakes not to divulgate its Users’ personal data, unless they gave their express authorisation or in very specific circumstances, such as the ones envisaged below. -	In case of restructuration or assignment, TF1 International may transfer any and all personal data it has stored to the concerned third party. The Website may contain hyperlinks directing to contents from third parties or to websites exploited by third parties. TF1 International is not responsible for the quality or the correctness of these contents or websites and cannot be regarded as approving, publishing or authorising those websites or contents. Accordingly, the operators of said websites are solely responsible for compliance with the applicable laws and regulations, in particular regarding the products and services sold on their websites, and more particularly with respect to compliance with consumer law, distance selling, price regulations, personal data, etc. TF1 International accepts no responsibility as to damage resulting from the use of said websites. 9.1. The User undertakes to abide by the Terms, which is a performance obligation. The User has to abide by the following rules of conduct. -	Hinder or attempt to hinder the functioning of the Services; connect to the Services in a way which is not expressly provided for in the present Terms. The User accepts not to use any crack, bug or any other form of error to gain advantages in using the Services. Likewise, the User undertakes to inform TF1 International immediately in case he/she notices a crack or an error in the Services. The User also undertakes not to send “spam”, “flood”, commercial offers to other Users. The User undertakes no to create, use, and disseminate any software not distributed by TF1 International, which could be used to modify the characteristics of his /her Account or of a third party’s Account, and which may affect the servers or harm TF1 International’s interests. The User is not authorised to use the Services in a way which may make them unavailable, damage them or prevent them from functioning. -	Attempt to access, without any authorisation, to the Services, the Accounts created by other Users or to computers, servers or networks to which the Services are connected, by any means other than the user interface made available by TF1 International, and in particular, and without it being a limitation, by circumventing or modifying, or encouraging or helping anyone to circumvent or modify the security measures, technology, device or software part of the Services. The User is solely responsible, which excludes TF1 International, of all activities happening through his/her Account and for his/her behaviour while using the Services. The User undertakes to provide TF1 International with the information required at the time of performance of the present Terms. The User undertakes not to use the information originating from the Services for other purposes than personal purpose, which excludes any use for the purpose of communication to the public or for promotional purpose, unless TF1 International gave its specific prior approval, or unless the License Agreement expressly stipulates it. 9.2. The User warrants and agrees to indemnify TF1 International, its executive officers, employees, partners, and/or any third party, against any and all damage, claim or demand from a third party and following the use of the Services by the User. This warranty covers the possible damages which may have to be paid as well as attorney’s fees and legal costs, in a reasonable measure. The User undertakes to pay for all the costs and applicable taxes he/she may have to pay in relation to the operations performed through his/her User Account. TF1 International’s partners are solely liable for the Services presented by TF1 International’s partners. Accordingly, TF1 International is not liable for contents edited and/or services proposed by the partners through the Services. The Services are destined to professionals and, by mutual agreement of the User and TF1 International, no party can claim to act in the capacity of consumer. TF1 International provides the Services “as is” and gives no guarantee whatsoever. In particular, TF1 International gives no guarantee of access to the Website. In view of the technical contingencies attached to the decentralised functioning of the Internet network, TF1 International gives no guarantee of continuity of service or of absence of error in the Services. TF1 International reserves the right to suspend the access to the Services, in all or in part, without notice, in particular to proceed with the correction, update or maintenance. TF1 International shall not be held liable for damage and/or loss suffered in connection with the use of the Services. To the fullest extent permitted by the applicable laws and regulations, TF1 International gives no guarantee, express or implied, in particular concerning the quality and compatibility of the Services to the use contemplated by the User. No information or advice given by TF1 International, through the Services or not, can create any obligation for TF1 International or can be construed as a guarantee. -	That all information acquired through the use of the Services will be accurate or reliable. Subject to the guarantees expressly set forth in the present Terms, no condition, guarantee or other term (including any and all implied guarantees of satisfactory quality, of adequate use to particular purpose or compliance with the description) applies to the Services. TF1 International can limit the number of Programmes available or remove Programmes from the Website at its own discretion, without giving any notice to the User. The User acknowledges and expressly accepts that TF1 International reserves the right to remove any Programme, without notice or indemnity, in particular in order to conform to any demand or injunction from a judicial or administrative authority or from third parties alleging a possible infringement of their rights in relation to the use of the Website. TF1 International reserves the right to add, suppress or modify all or part of the sections of the Website it edits or of the Services it proposes, without prejudice to the application of conditions possibly previously agreed upon. TF1 International reserves the right to update, modify or delete them at all times without notice. TF1 International reserves the right to insert and/or have any third party chosen at its own discretion insert banner ads and/or any other promotional element on the Website as well as in the Programmes, at all time during their broadcast. In case TF1 International is held liable, TF1 International’s liability is strictly limited to direct, personal, actual damages, at the exclusion of, without this list being a limitation, any and all indirect and/or consequential damage and/or loss, such as commercial loss, moral and financial loss, including any loss of profit for which the cause, origin or base is the use of the Website. In any case, TF1 International shall not be held liable when the damage was caused, in all or in part, by the User’s or a third party’s fault or act, or in the event of force majeure. In all cases where TF1 International could possibly be held liable, no actions or claims, on whatever grounds, can be entered against TF1 International later than one (1) year after the day when the infringement was established. The User is solely responsible for his/her interactions with other Users of the Services and any other person with who the User might interact through the Services. In the event of disputes between the User and one or more other User(s), the User undertakes to hold TF1 International harmless against any claim, application and possible damage (direct and indirect), and of whatever nature, known and unknown, originating in whatsoever way from said disputes or related to them, including damage related to loss of profit, customers, a use or data. In case of a breach by the User of any of the stipulations of the present Terms, TF1 International reserves the right to suspend, temporarily or definitely, without any prior notice and at its own discretion, the access to and use of the User Account, the Website and the Services, with no right to indemnification. TF1 International has the faculty to suspend the access to the User Account and the use of the Services at all times. In case of a definite suspension, the User Account will be closed and any new registration request may be blocked. The User who had their Account deleted by TF1 International, or who are not authorised to access the Services made available online by TF1 International, cannot create a new Account, nor use the Services, unless TF1 International authorises it. The aforementioned sanctions can be applied without prejudice of any and all action, criminal or civil, which might be started against the User by the public authorities, third parties or TF1 International. TF1 International reserves the possibility to modify all or part of the Terms. The User may be informed by all means of the new Terms. In case of a modification of the present Terms, the User will be asked to accept the new Terms during the connection subsequent to said modification. The User will only be bound by the modified Terms when he/she will have expressly accepted it. However, in case of a modification of the information referred to in article 2, the User will be informed of said modification but it will not be construed as a modification to the present Terms. The present Terms enter into effect at the date it is accepted by the User in the aforementioned conditions. The present Terms are entered into by and between TF1 International and the User for an indefinite term and/or the term of the License Agreement. When the Terms are entered into for an indefinite term, the User is free to end it by sending an email with a fifteen (15) day notice at the address indicated at article 1.1. TF1 International is free to end the present Terms by sending an email to the User with a fifteen (15) day notice. However it is specified that the stipulations of the Terms will keep in force to the extent that they govern the Services used prior to the day the resolution took effect, and in particular, the present Terms made available to the User prior to the day the resolution took effect. 14.2. TF1 International may assign the present Terms at any time to the natural or moral person of its choice. The User may not assign his/her rights and obligations deriving from the present Terms. If TF1 International makes available to the User, non-French speaker, a translation of the present Terms, the User agrees that this translation is only made available as an information and modifies in no way the French version of the Terms. In case there is a conflict between the translation of the present Terms and the French version, the French version shall prevail under every circumstances. If one or more stipulations of the present Terms are not valid or are said to be not valid pursuant to a given legislation, regulation or following a decision by a court which became final, the other stipulations remain in force to their full extent. In such circumstances, the parties agree to replace the clause that has been declared null and void with a valid clause, close in content to the initial clause. No failure of TF1 International to seek performance or enforcement of the stipulations of the present Terms or the failure to exercise any right provided under these Terms shall be construed as a waiver by TF1 International to seek performance or enforcement, or to exercise any right. TF1 International’s express waiver to enforce stipulations, conditions or requirements of the present Terms shall not constitute a waiver to enforce any stipulations, conditions or requirements in the future. Except in cases expressly and specifically provided for in the present Terms, any declarations, agreements, waivers, or other instruments or omissions by TF1 International shall not be construed as an amendment to the Terms and shall have no legal value except if they are in writing and signed by the User and TF1 International’s legal representative. 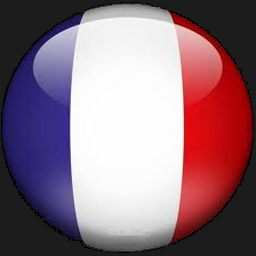 The Website and the present Terms are governed by French law. Prior to any referral to the court of first instance, the User undertakes to inform TF1 International of any difficulty by postal mail sent to TF1 International, 1 Quai Point du Jour, 92100 Boulogne-Billancourt - FRANCE and to seek, at TF1 International’s request, an amicable solution. In the event of a failure of the amicable solution, the courts of Paris (France) have sole competence.